US President Donald Trump was inundated with suggestions of works of art after tweeting that his healthcare reforms will end in a “beautiful picture." “Despite what you hear in the press, healthcare is coming along great. We are talking to many groups and it will end in a beautiful picture!” the president tweeted Thursday. The message seems to have piqued the artistic interests of many on Twitter, as a slew of people responded to the president with pictures that they think serve as a good analogy for how the healthcare overhaul will turn out. In a similar fashion to when the Yahoo Finance accidentally tweeted that Trump wanted a “N****r Navy” people have taken the idea and are milking it for all it’s worth. 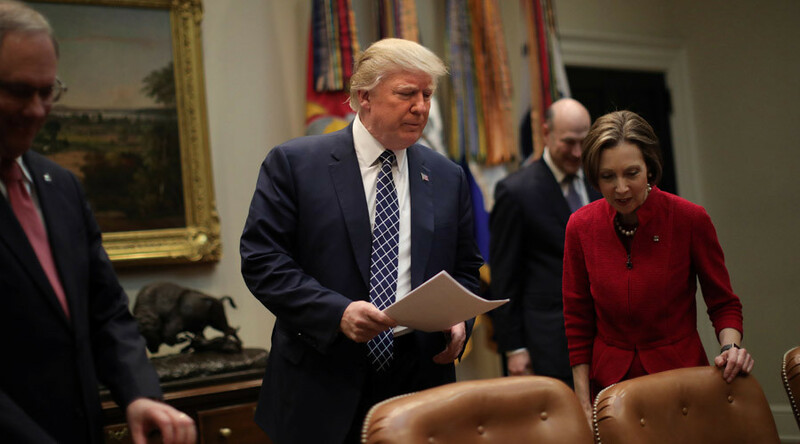 Despite concerns about costs and the impact on coverage, the bill, backed by Trump, to overhaul the healthcare system was approved by the House of Representatives Ways and Means Committee early Thursday before passing through a second congressional panel later in the day. Congress is hoping to pass the bill, which would roll back much of the Affordable Care Act (aka “Obamacare”) within a few weeks. The bill would create a system of tax credits to encourage people to buy private insurance on the open market. Some Republicans are critical of the plan, saying it’s not radical enough. Democrats, meanwhile, have slammed the bill and claimed that an informed debate is impossible without knowing the cost of the reforms.